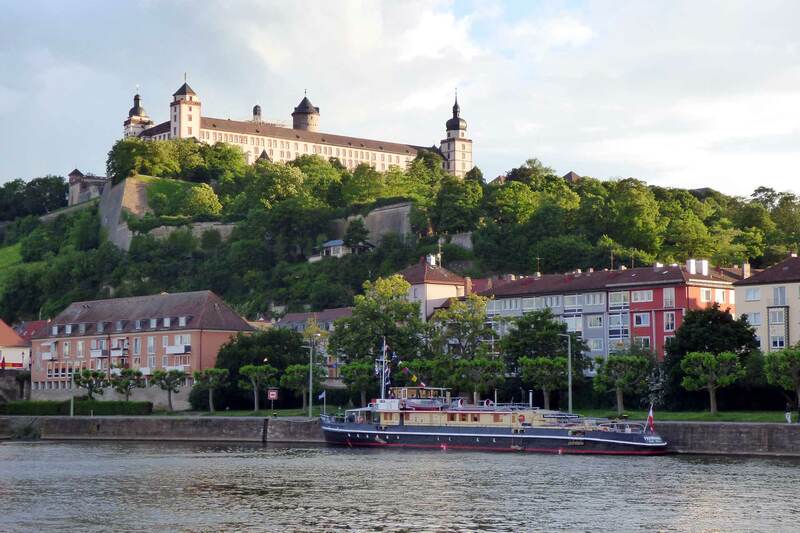 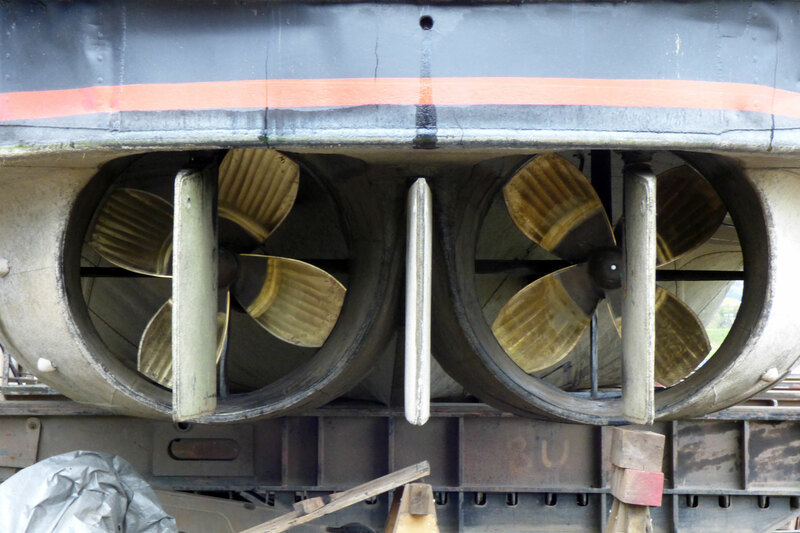 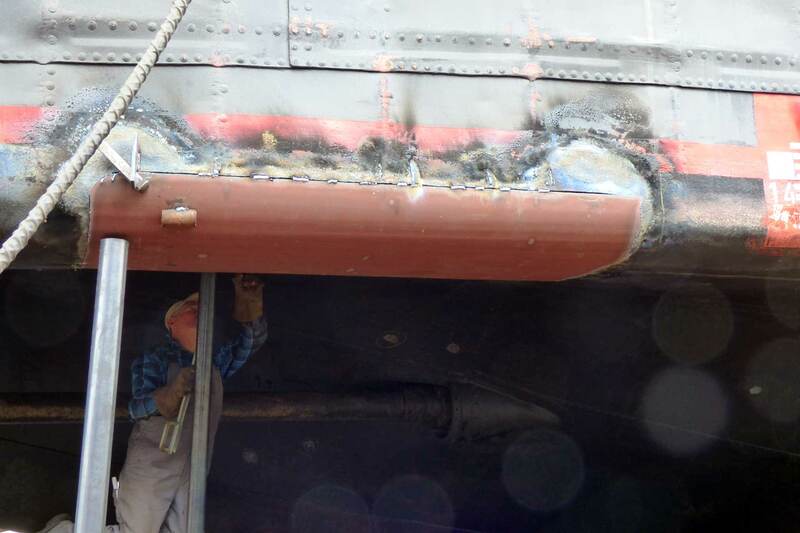 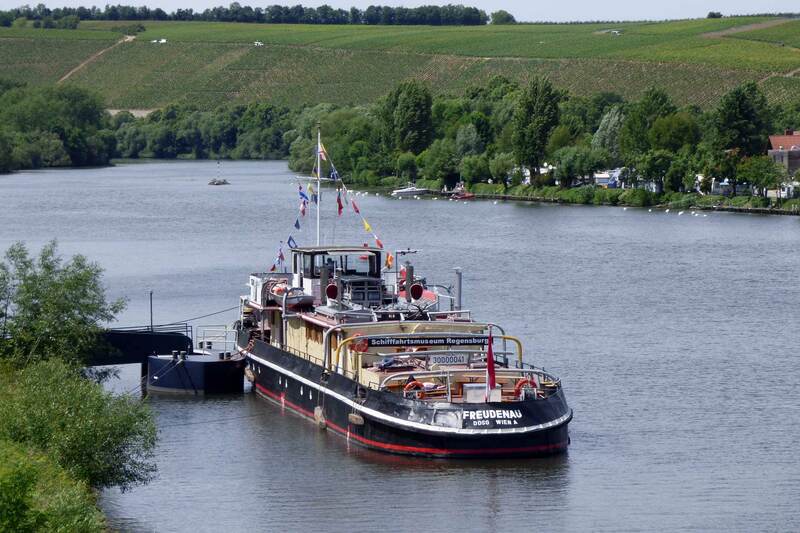 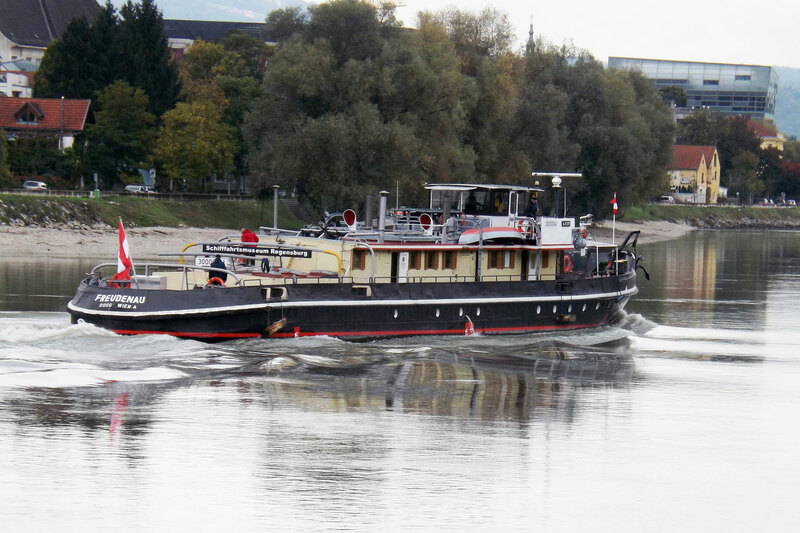 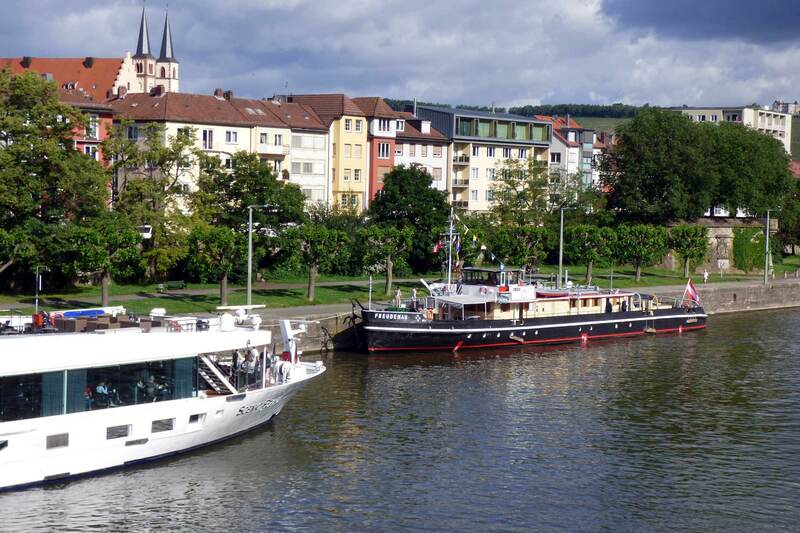 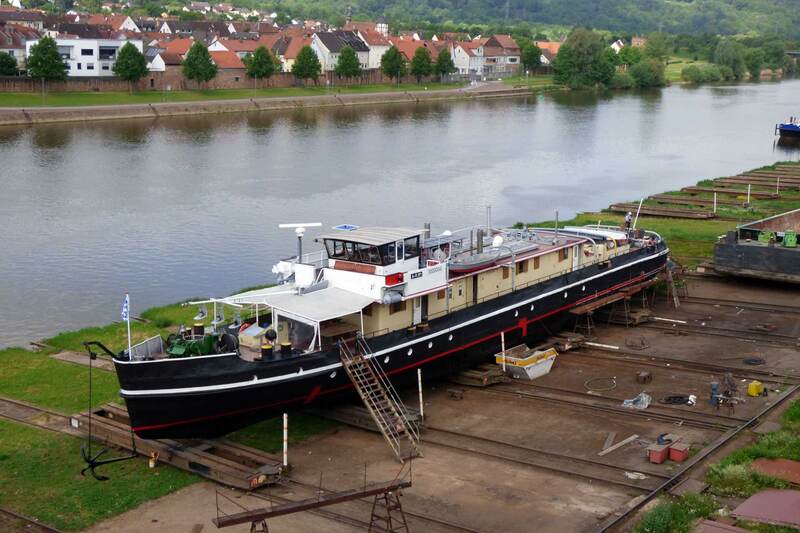 The RUTHOF / ÉRSEKCSANÁD is the last Bavarian steam paddle tug, build in Regensburg on the Christof Ruthof shipyard for the "Bayerischer Lloyd" shipping company and launched on 21st. 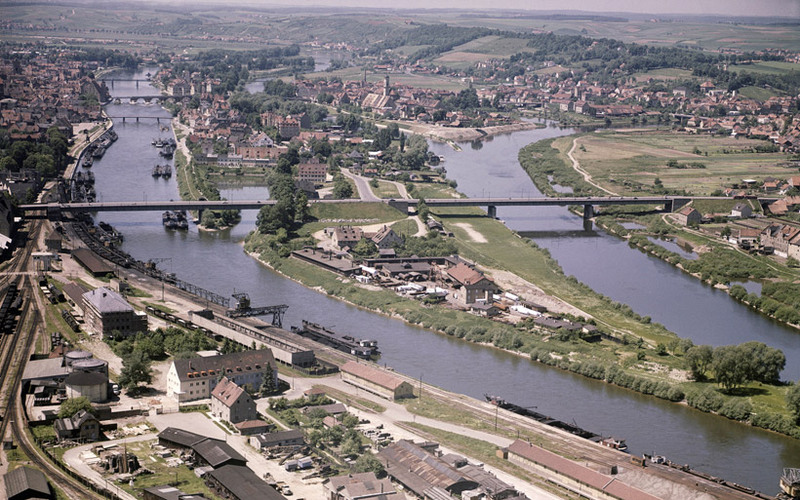 February 1923. 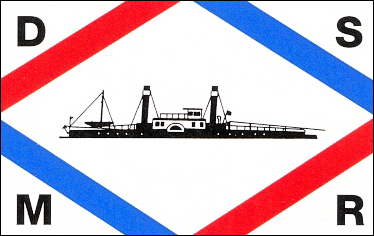 The tug commenced service in 1923 under the name RUTHOF. 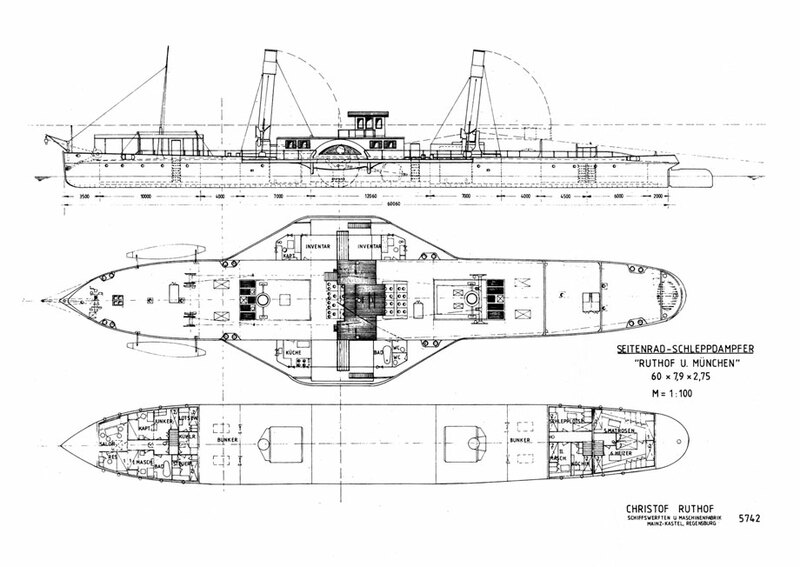 In 1944 the vessel ran on a mine in Hungary, a British mine (dropped by Italy based R.A.F. 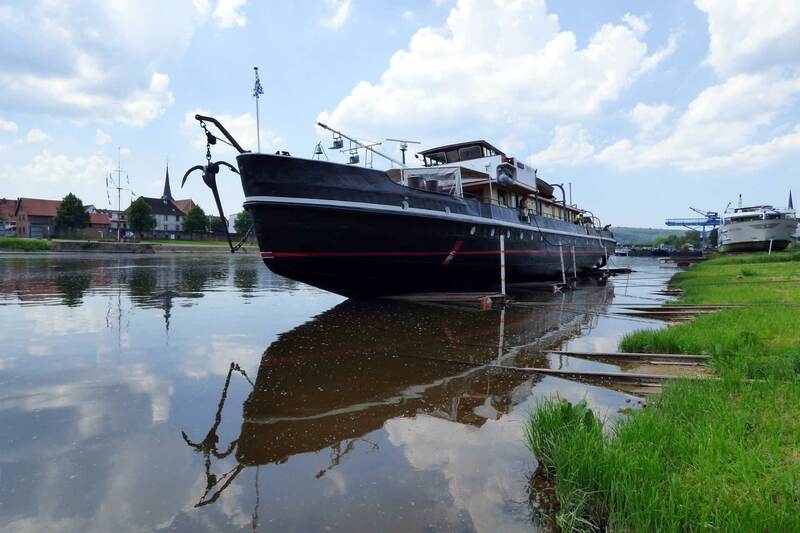 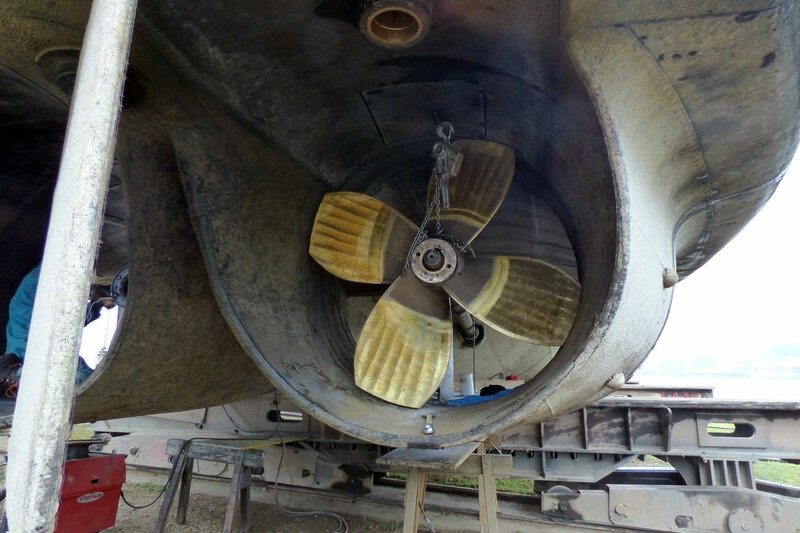 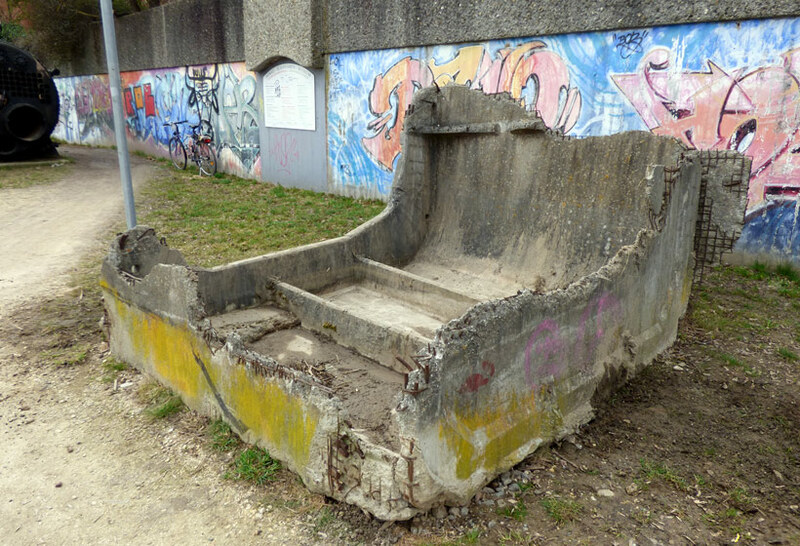 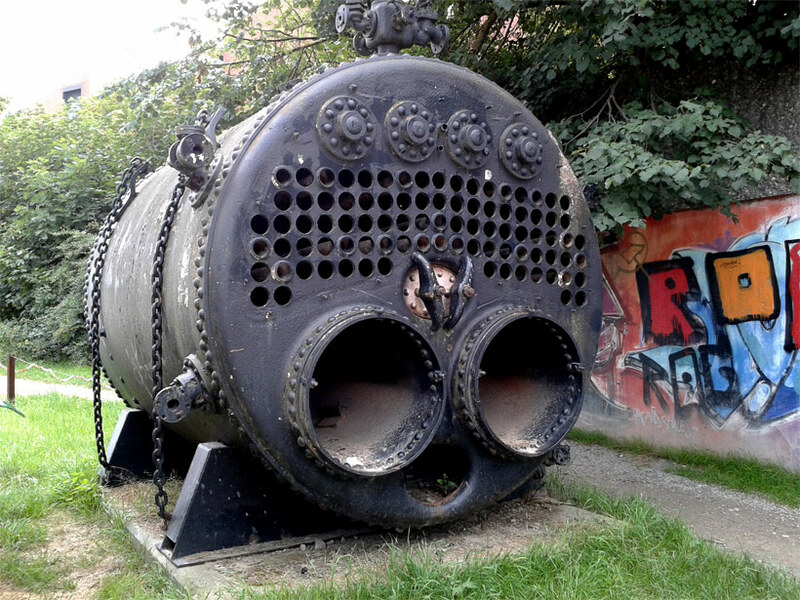 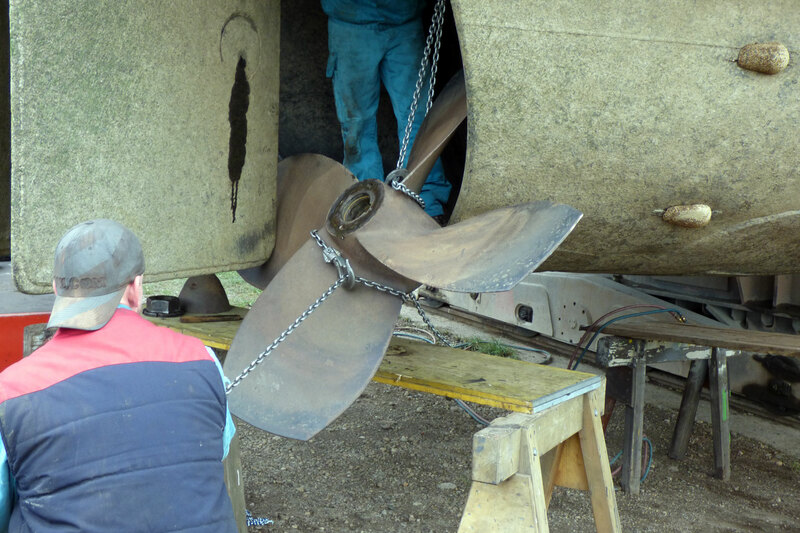 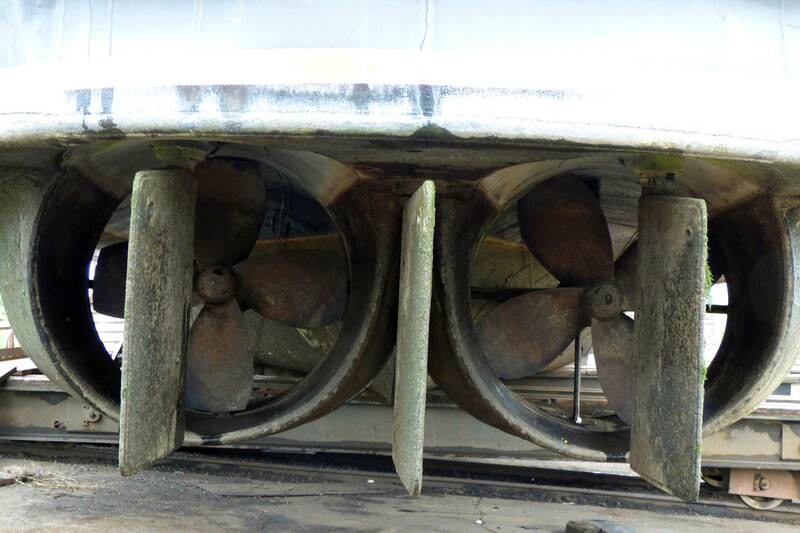 ), sank and remained submerged in the Danube for 12 years. 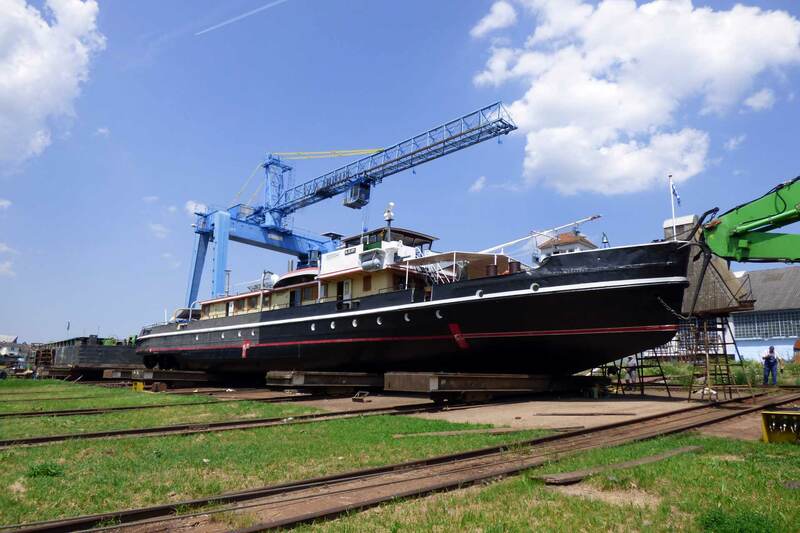 1957 she was salvaged by the Hungarian shipping company MAHART and rendered service up to the mid 70-ties. 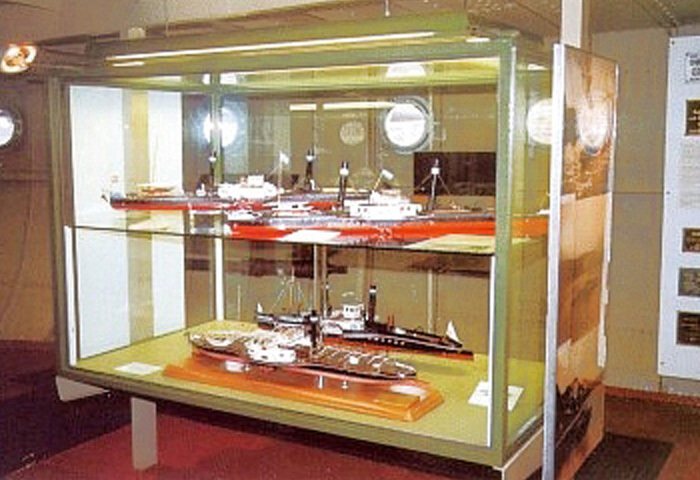 In 1979 it was acquired by the Danube Navigation Museum and after four years' work was opened to the public in 1983 as a museum ship. 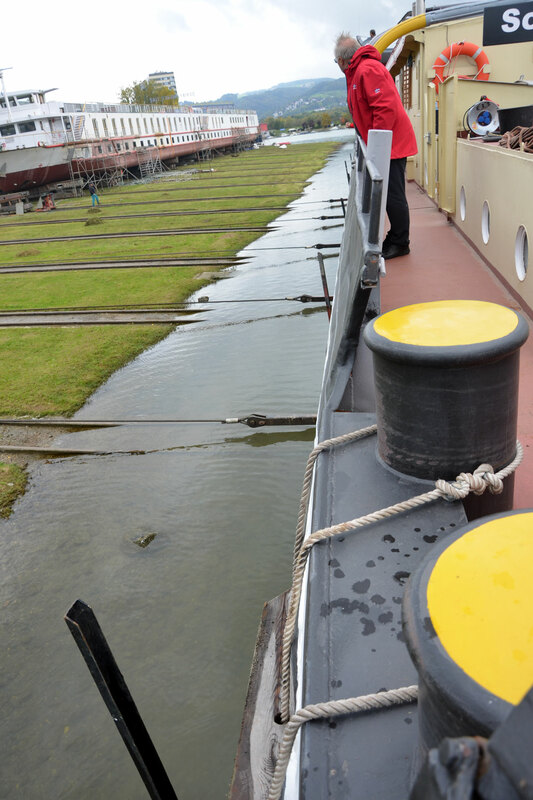 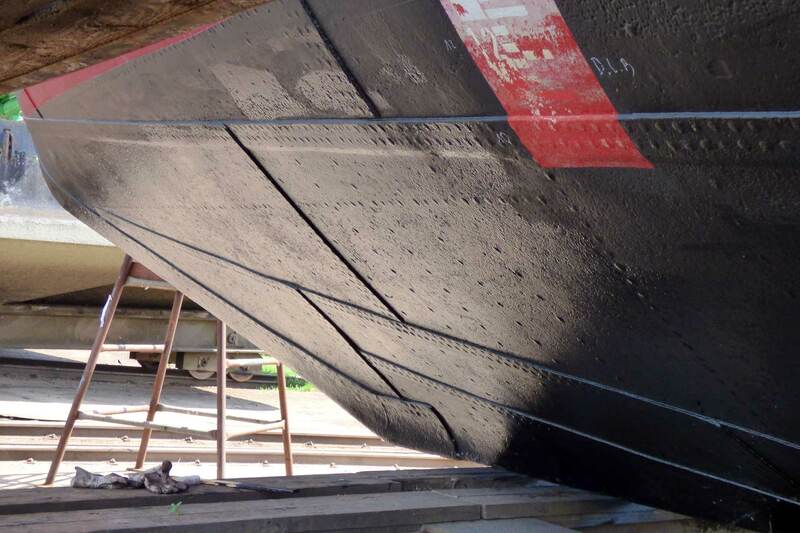 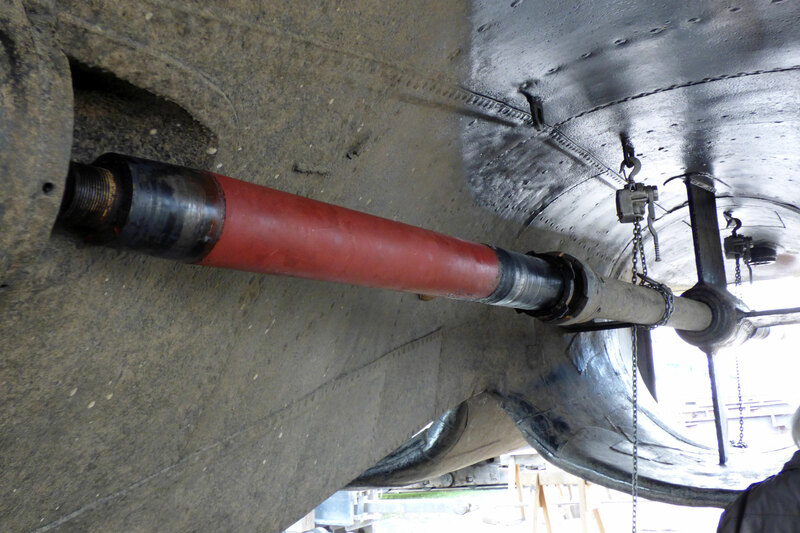 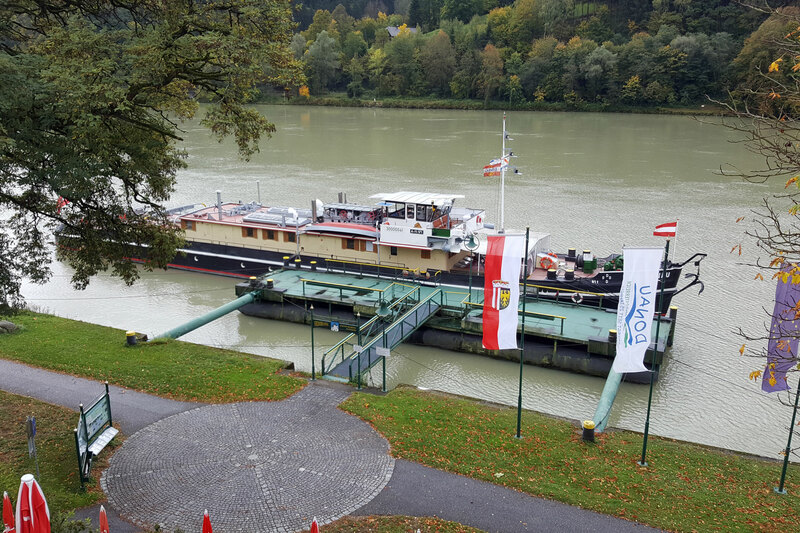 On board, visitors can not only appreciate the massive construction of this river workhorse but also see an exhibition of Danube shipping with many models and photos. 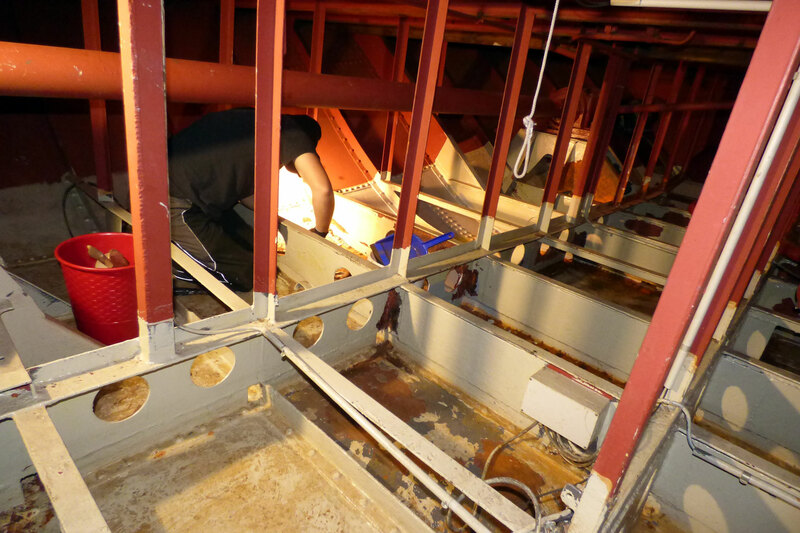 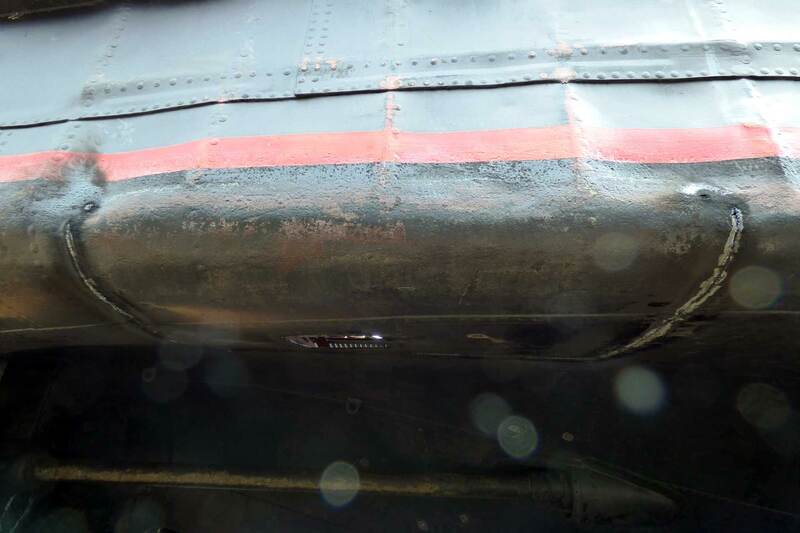 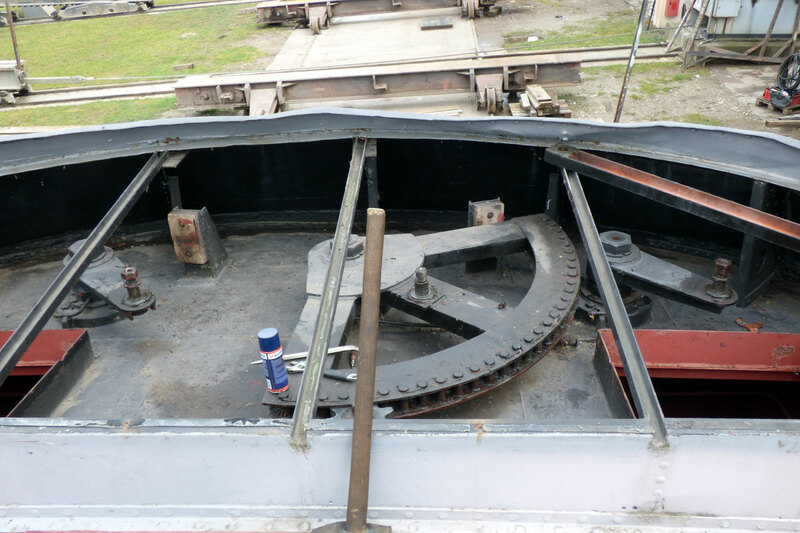 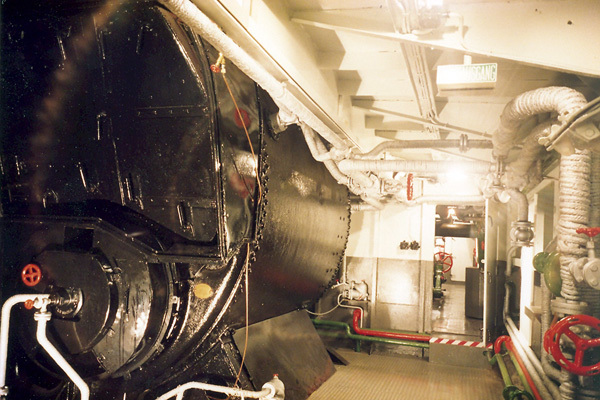 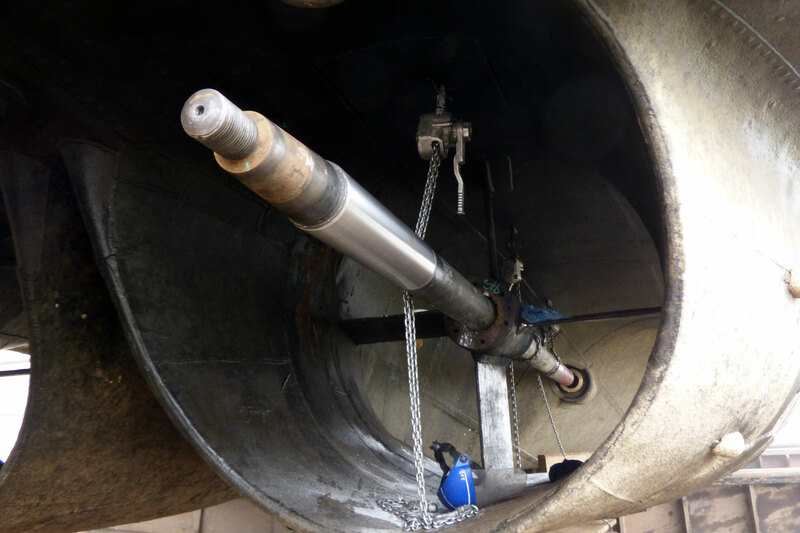 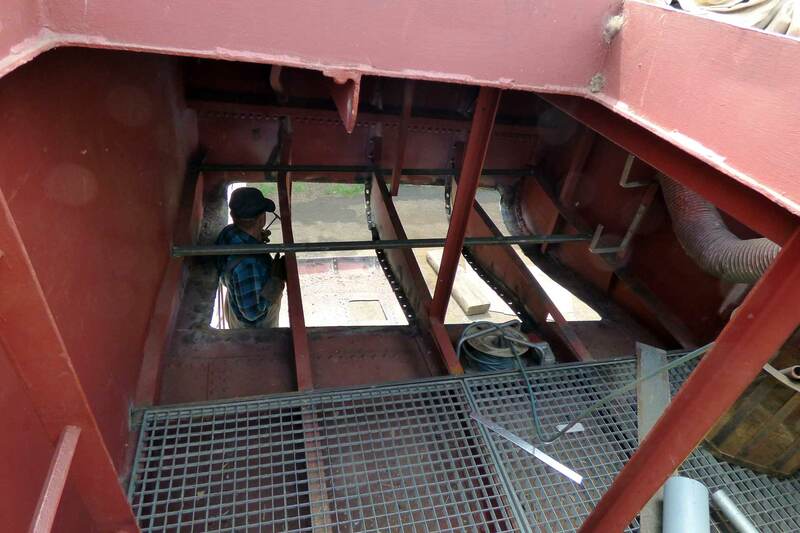 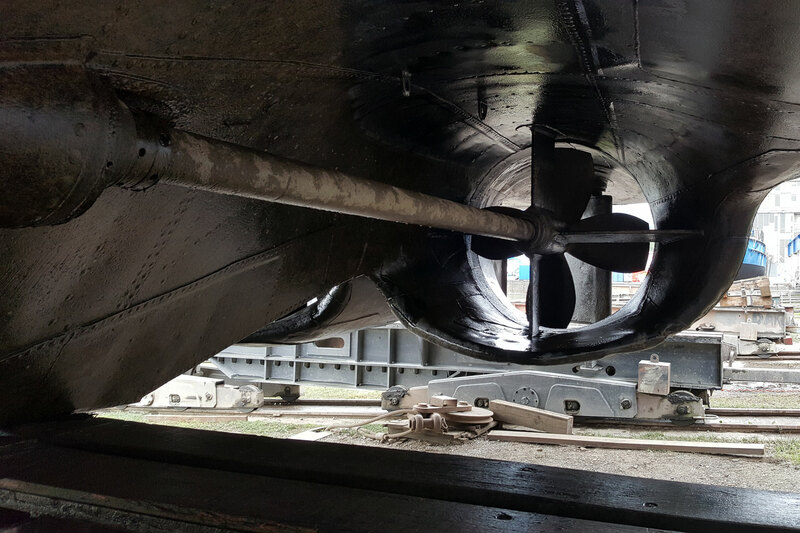 Furthermore you can walk through the engine- and boiler rooms, view the fuel- and coal tanks, one original crew accomodation, the kitchen and finally the bridge deck. 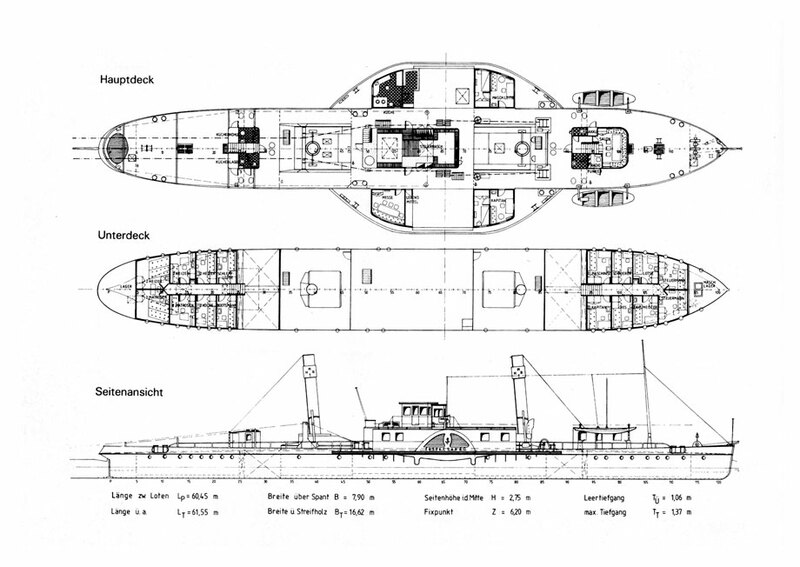 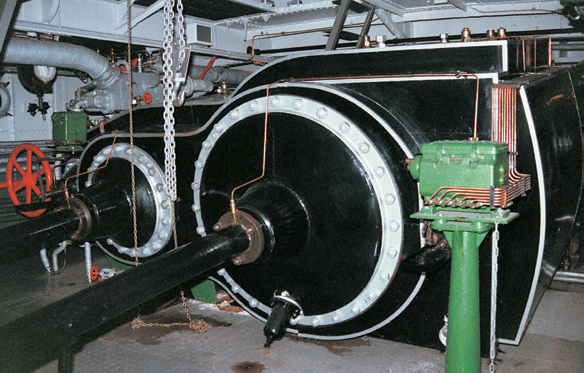 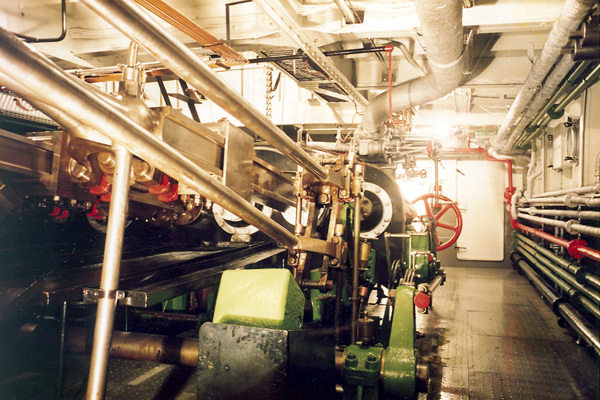 The side-paddle-steamtug had 25 crew, is 61.55m in length and 16,60m in beam, with 800 horse power on a "sloping" two piston steam engine, fired by either coal or heavy fuel, changed twice. 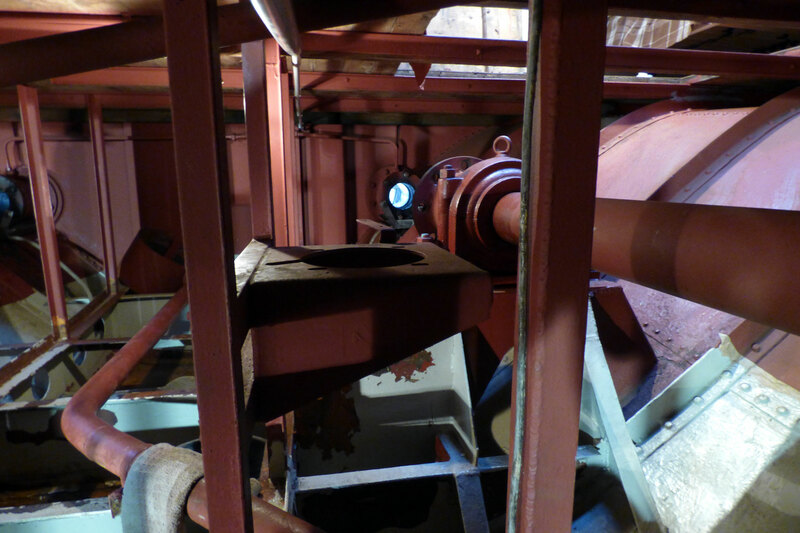 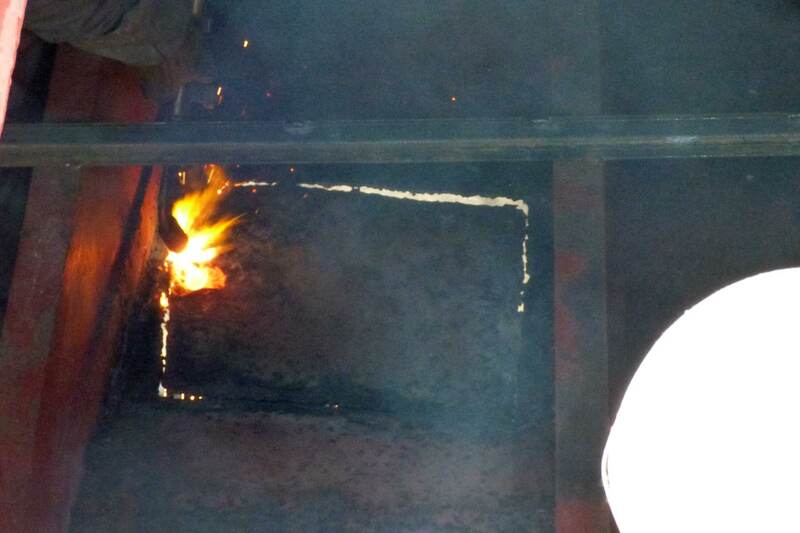 Consumption 1000 kg coal or 540 kg fuel per hour. 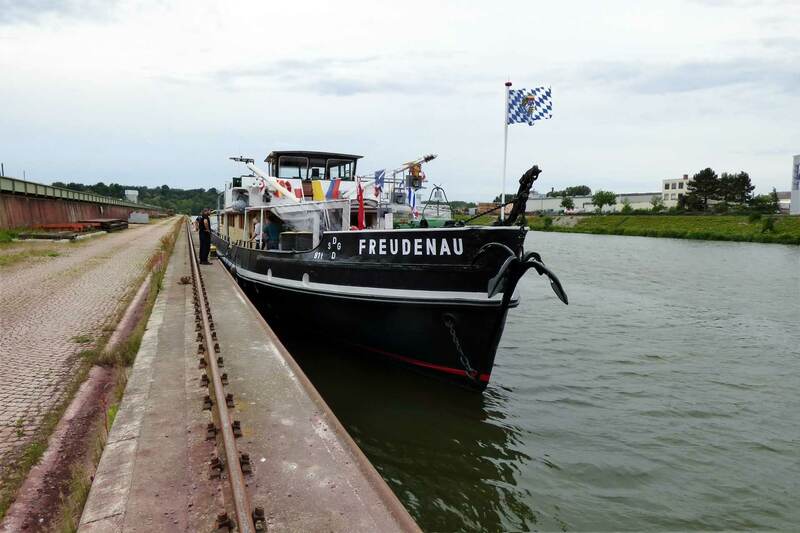 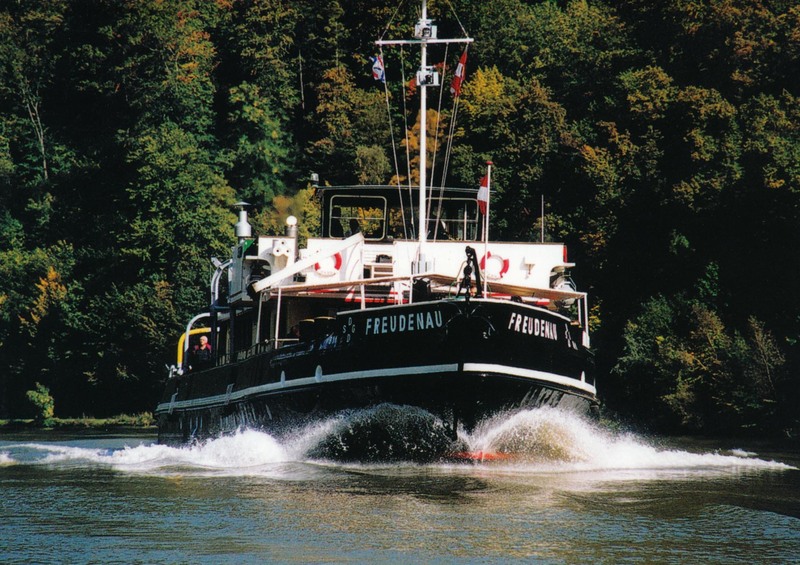 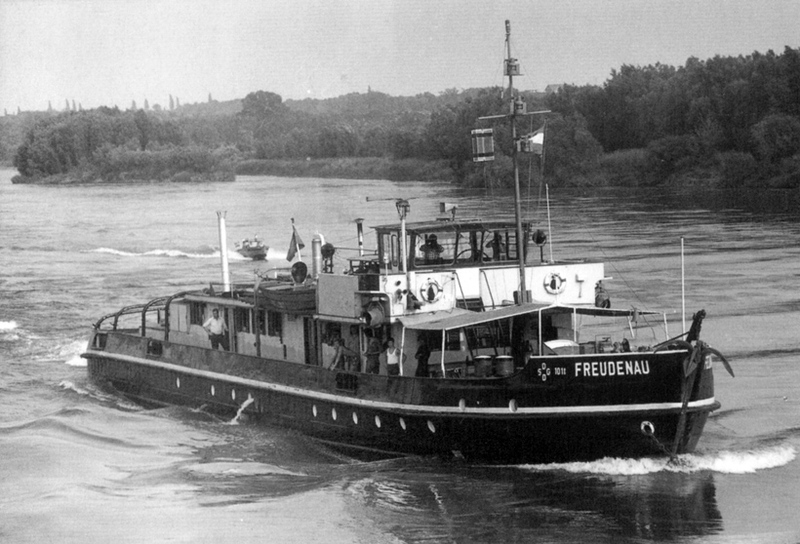 M/V Freudenau was one of the last tug-boats on the Danube and today is the 2nd. 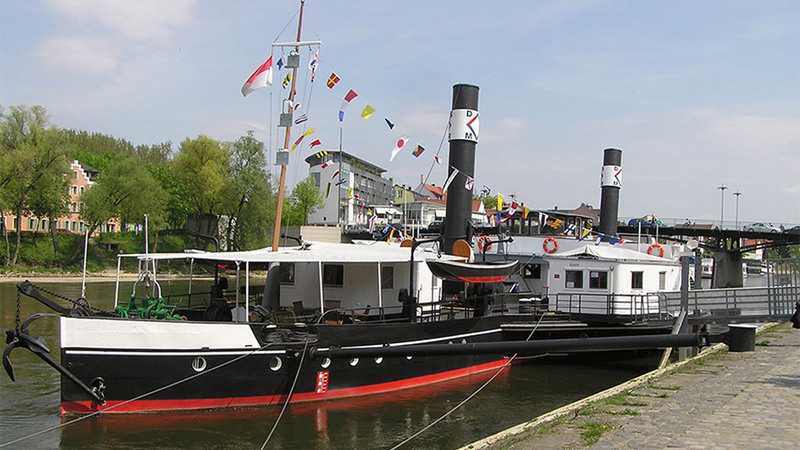 Museum-Ship of the DSMR, almost kept in the same old original condition. 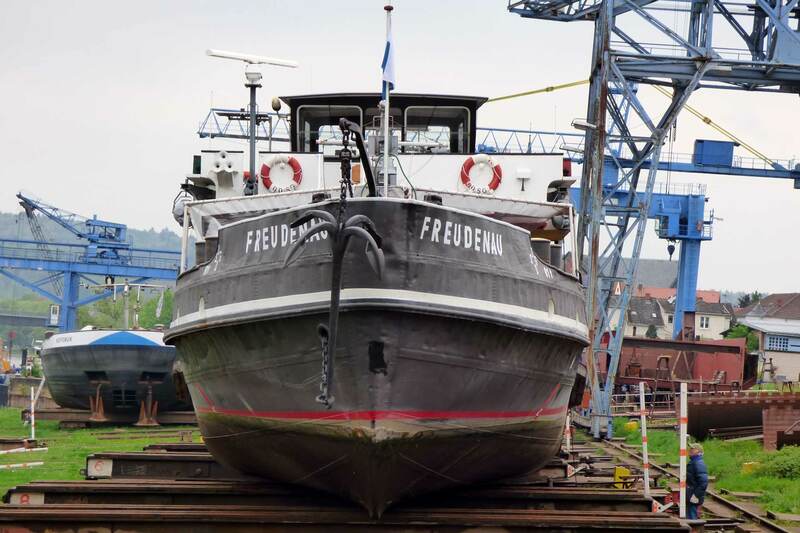 The diesel tug FREUDENAU was built on Linz shipyard in 1942 (no. 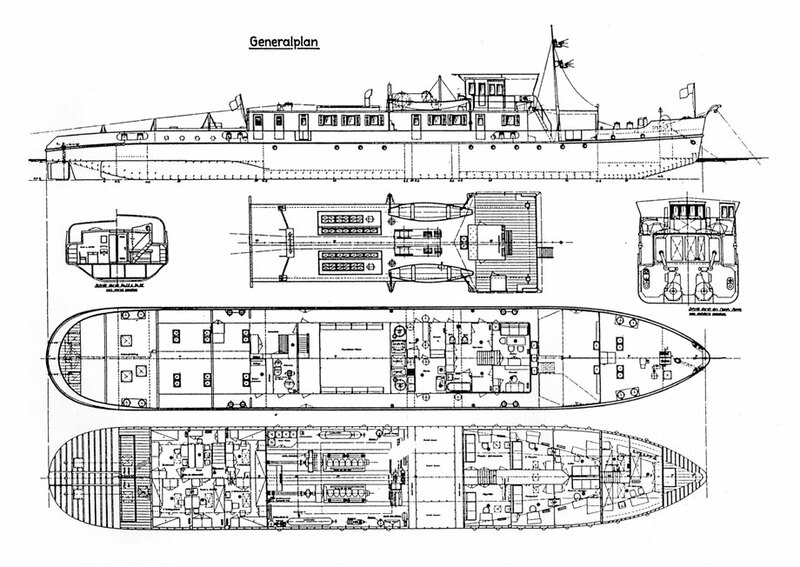 821). 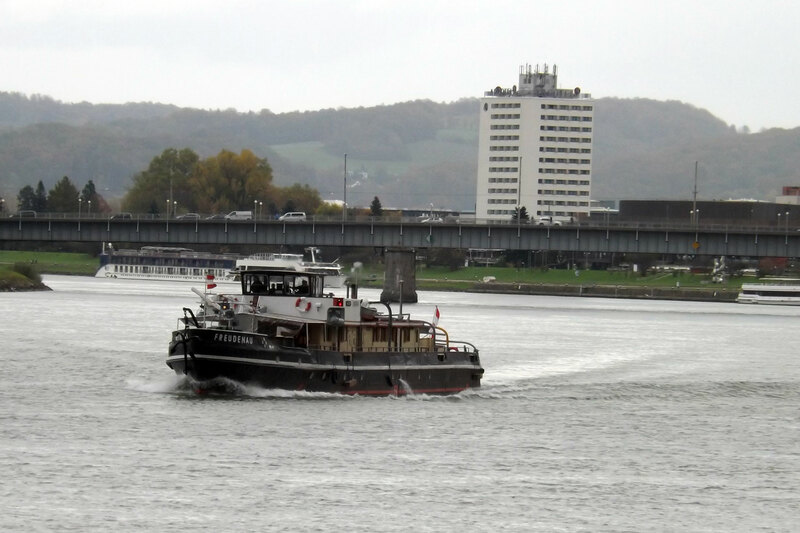 Built during World War II as one of a series of 22 sister ships (called "N-Typ") for German, (Austrian) and Hungarian shipping companies. 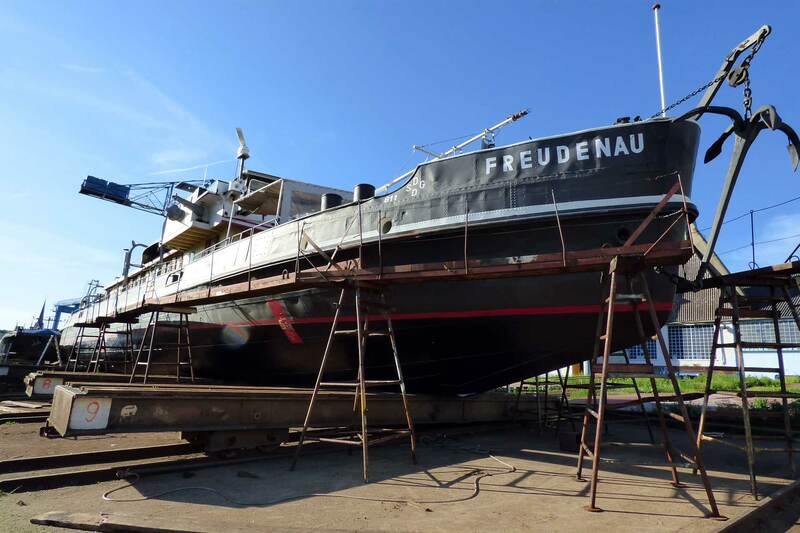 The FREUDENAU always belonged to the Austrian shipping company (DDSG), and worked on the Danube between Regensburg and the Black Sea for 51 years before retiring in 1993 from its final job manoeuvring barges in Linz Harbour. 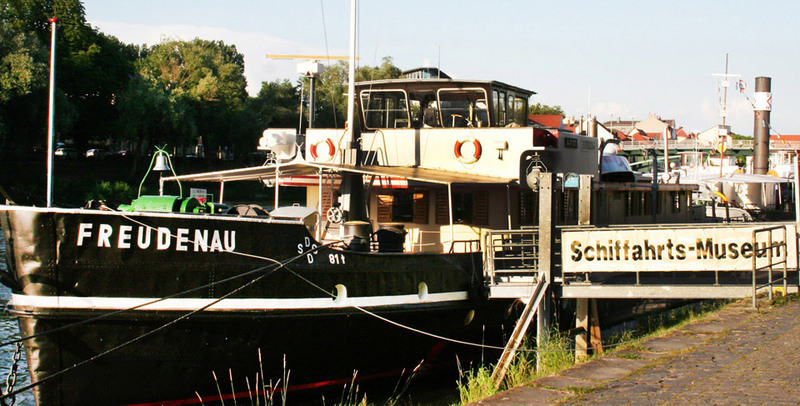 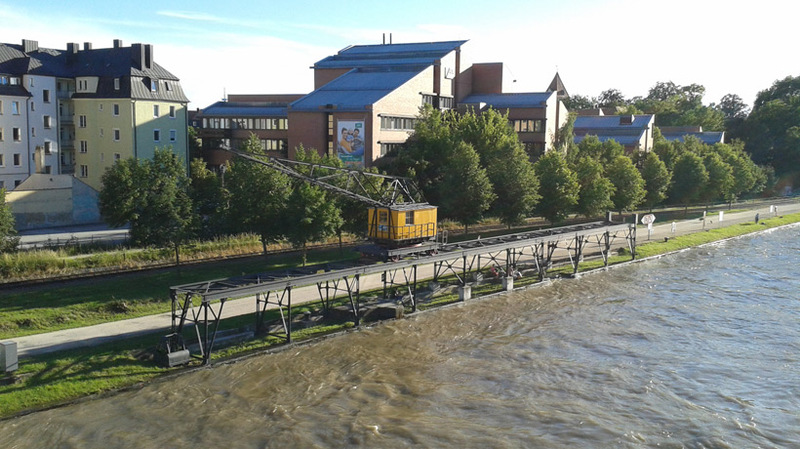 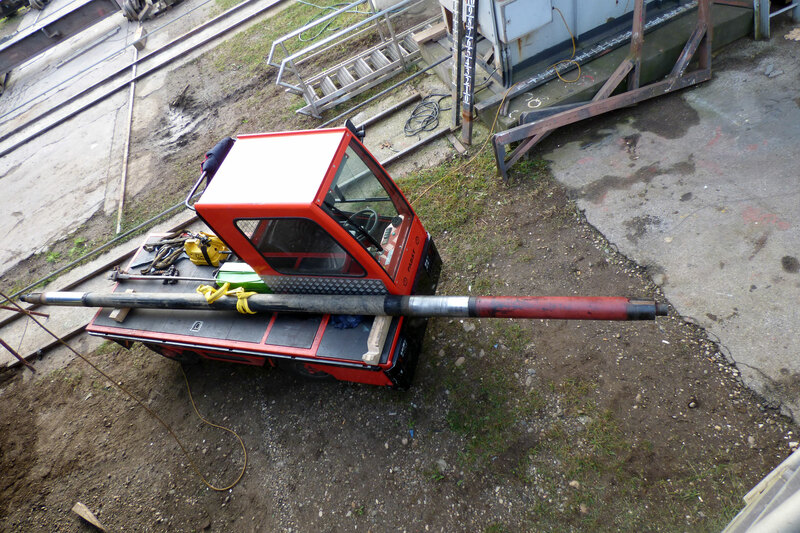 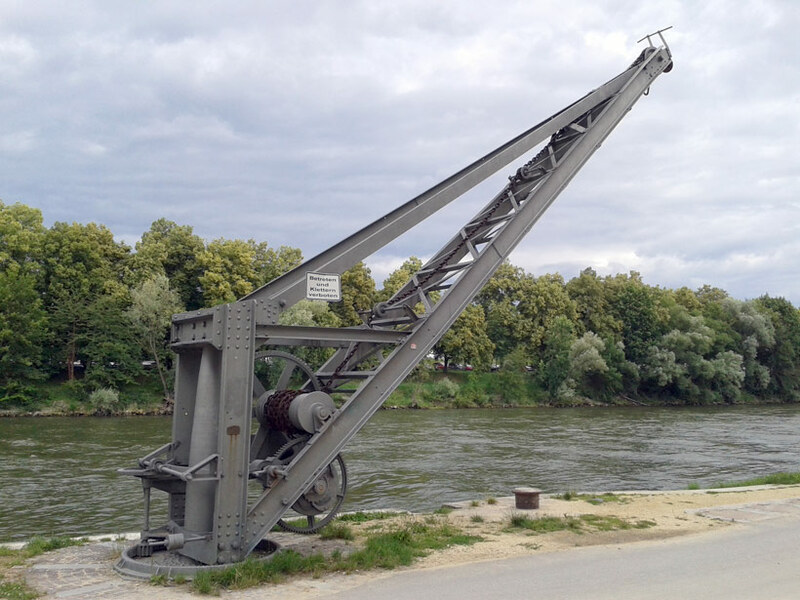 In 1995 the Danube Navigation Museum in Regensburg bought the tug. 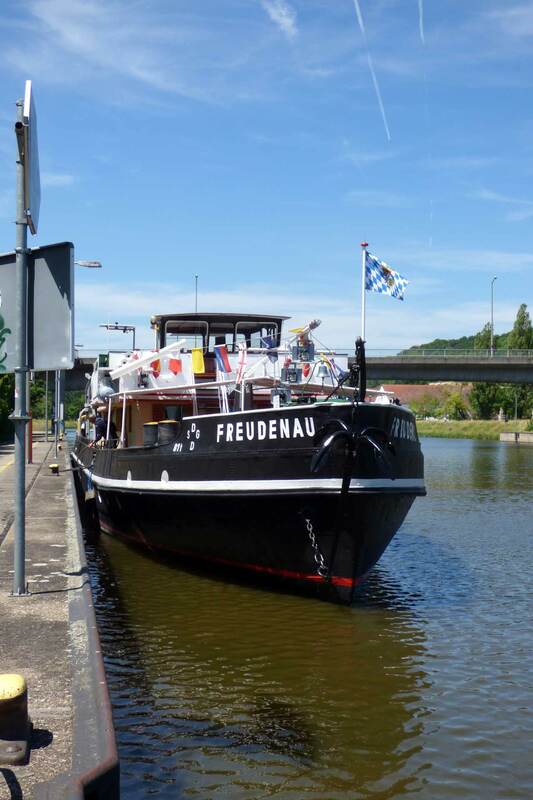 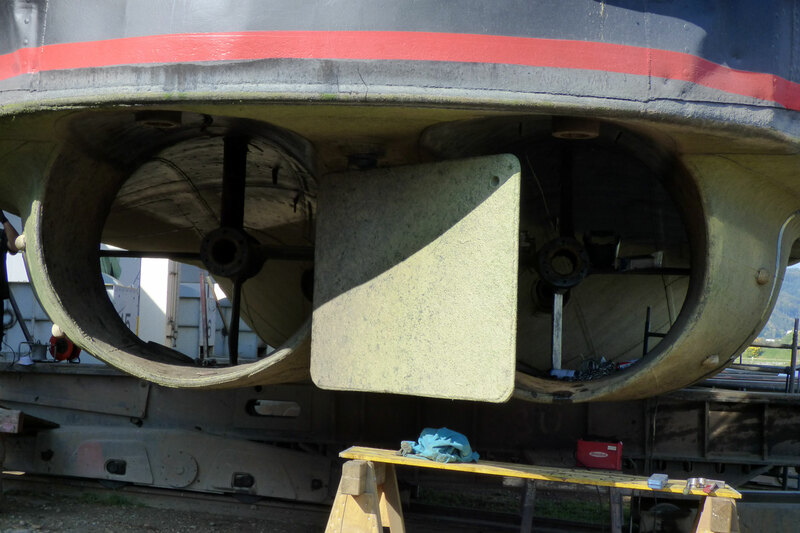 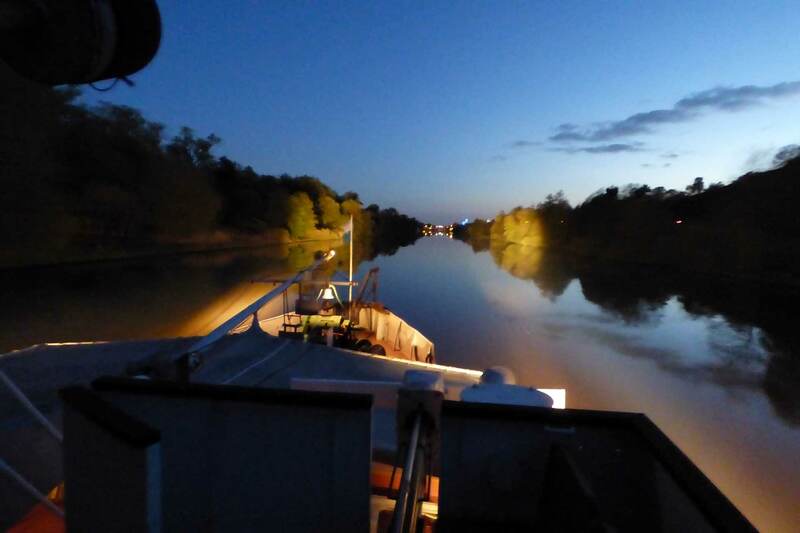 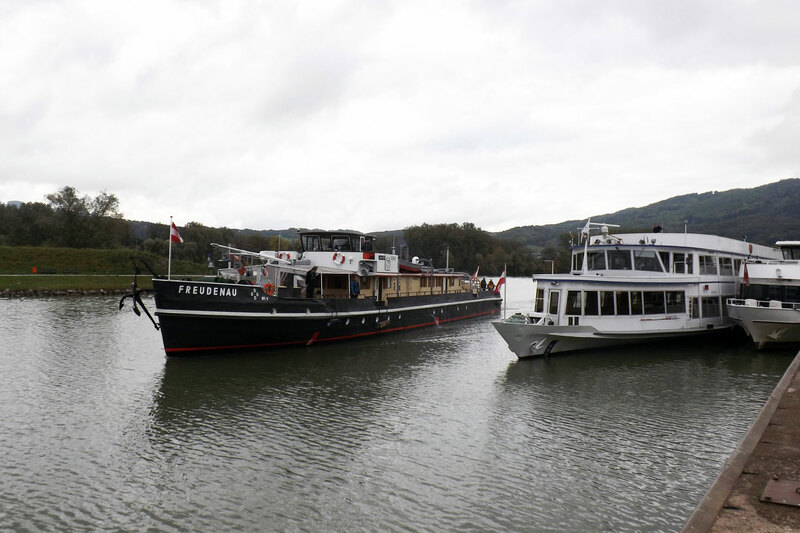 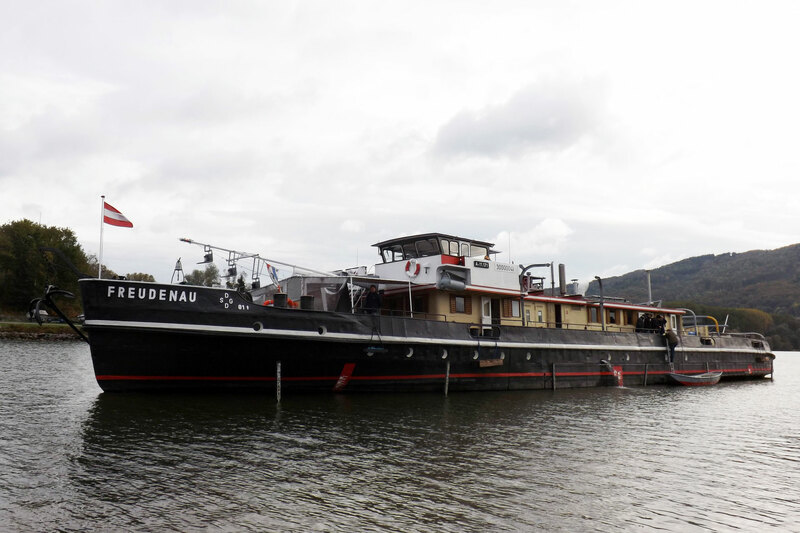 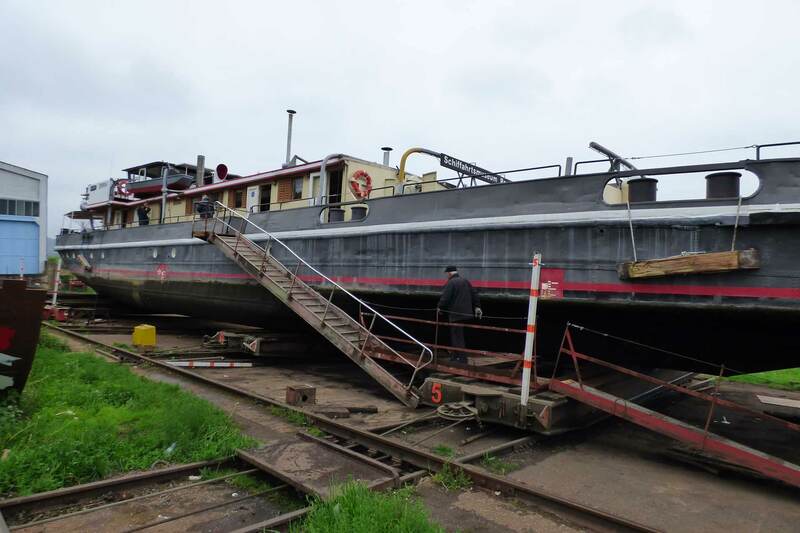 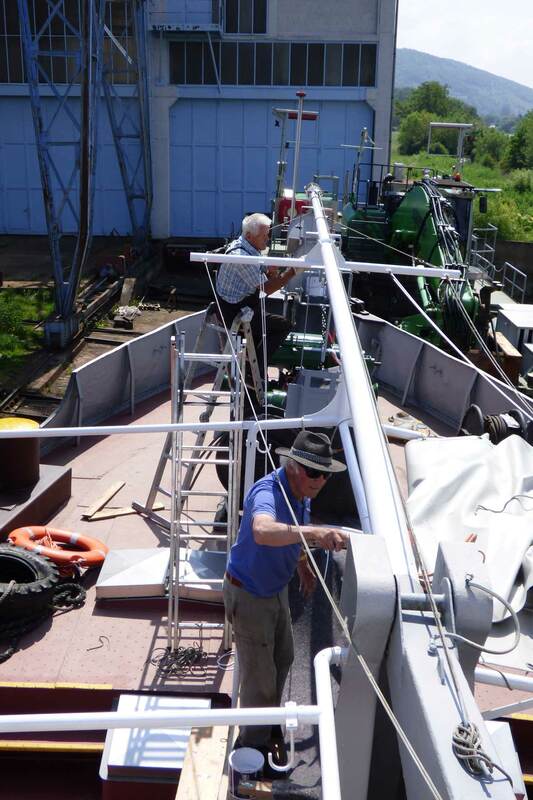 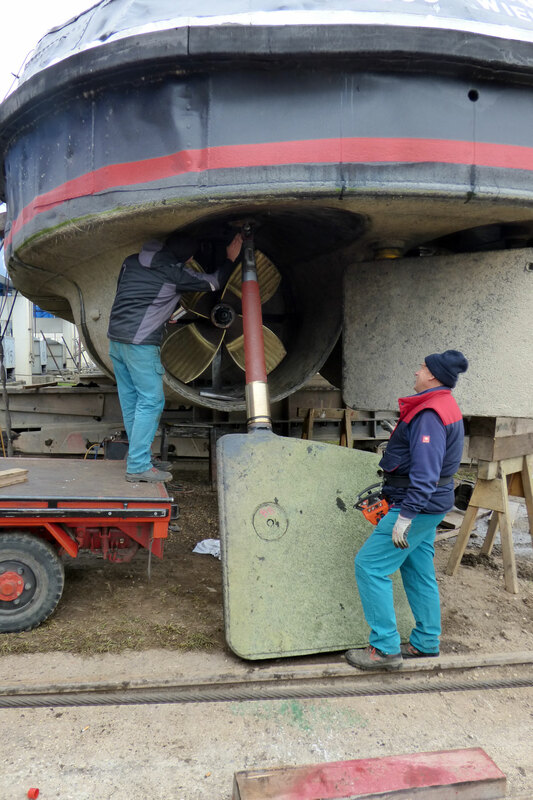 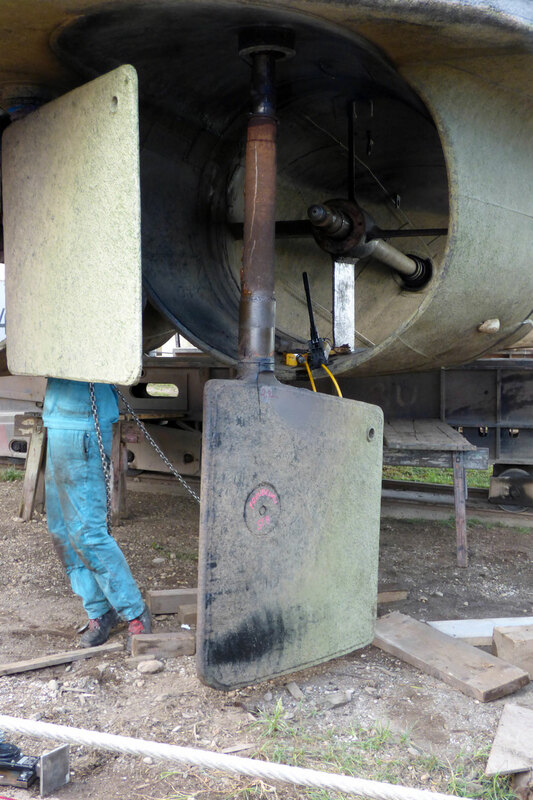 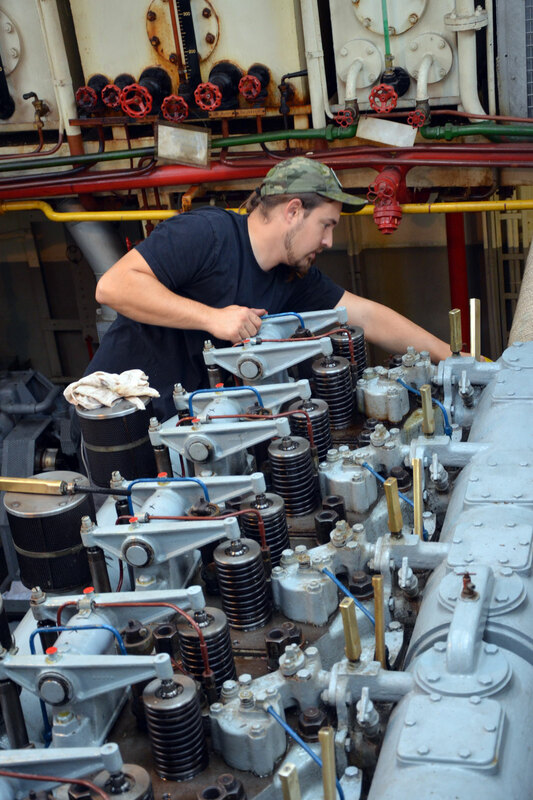 After four years of restoration, the motor tug FREUDENAU was opened to the public as a museum ship, which is sometimes still active on the Danube for "charter trips". 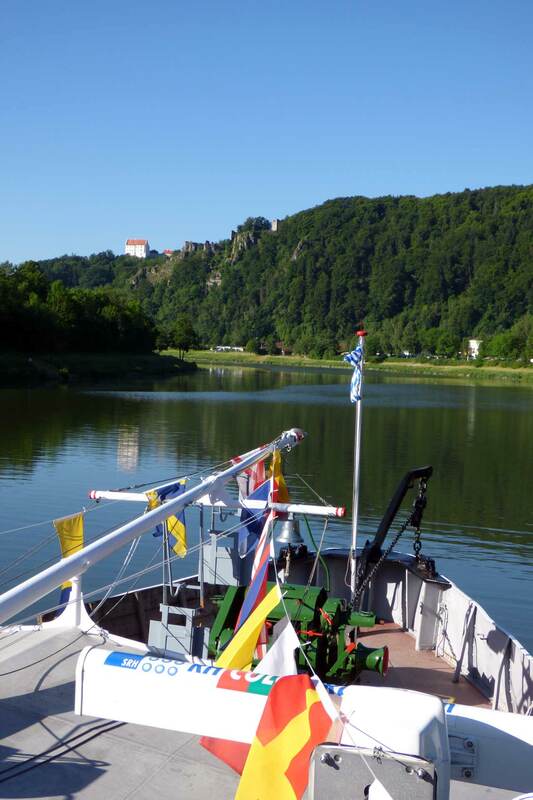 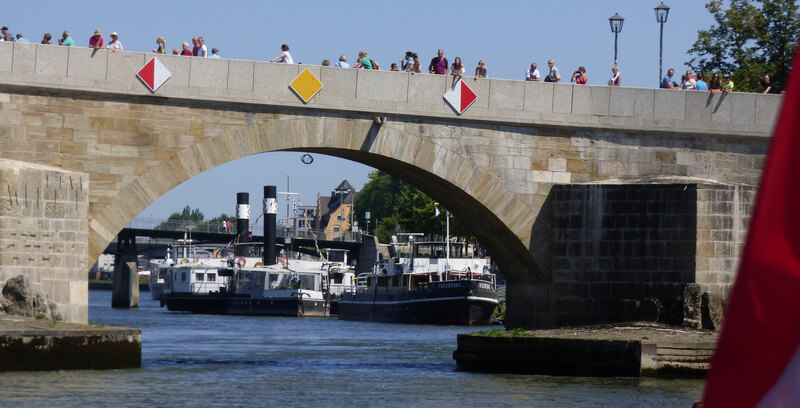 Afterwards take a rest on the ships forecastle, have a coffee, icecream or cold drinks, viewing the ancient "Steinerne Brücke"!! 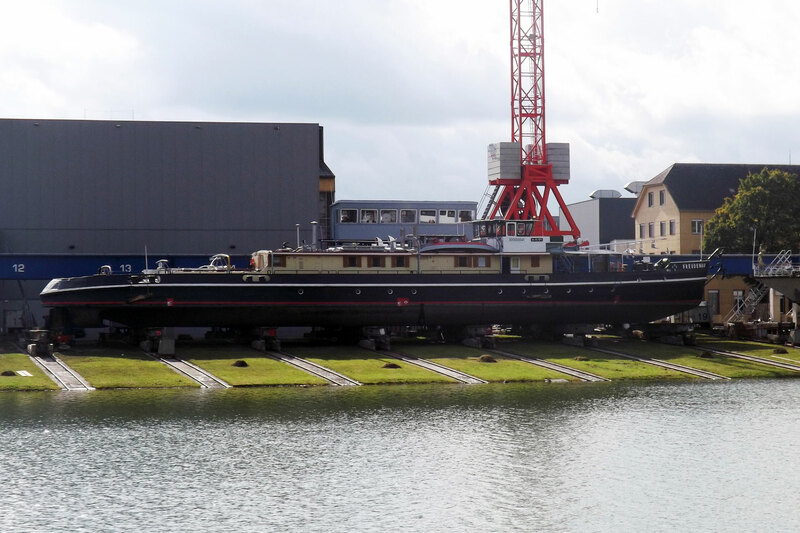 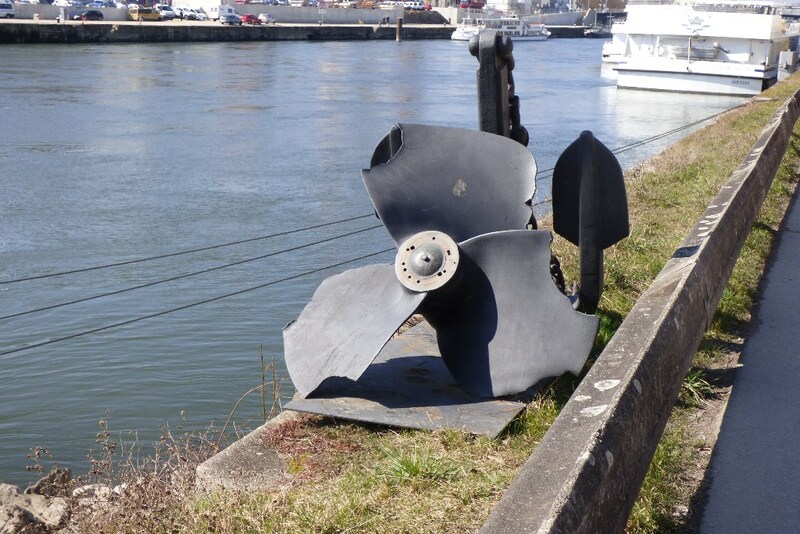 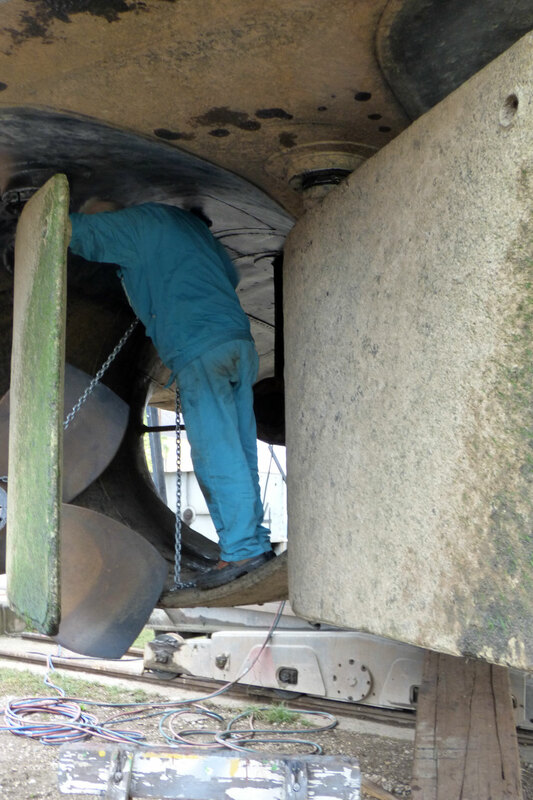 Technical data: Length = 48,30m ; Beam = 7,20m; Draught = 1,50m; Two Marine Diesel Engines of 550 HP each; consumption 500 kg/h, two Kort-Nozzles, each with a 4-blade propeller; Diameter = 1,50 m. 17 crew. 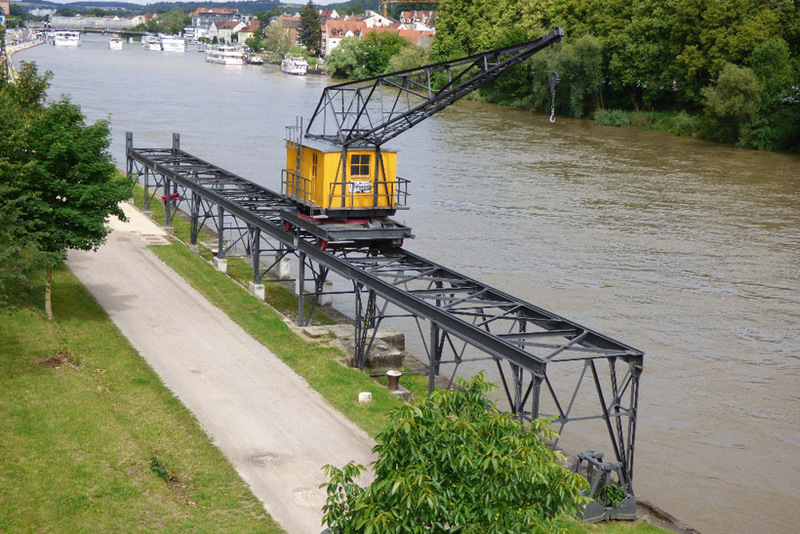 The Hofmeister family, which lives in Regensburg region since the 16th century has been all the times working (and does it partly still today) with and on the Danube as fishermen, ferrymen, shipbuilders and boatmen. 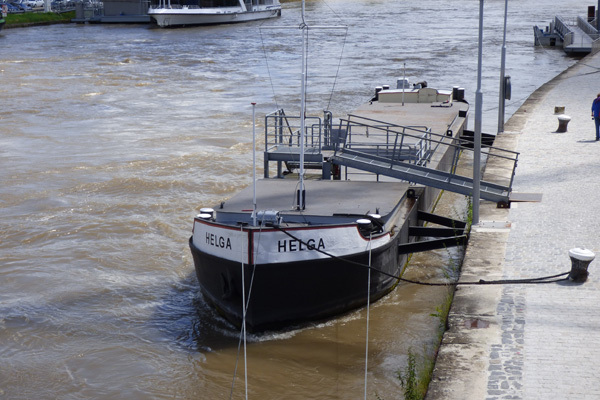 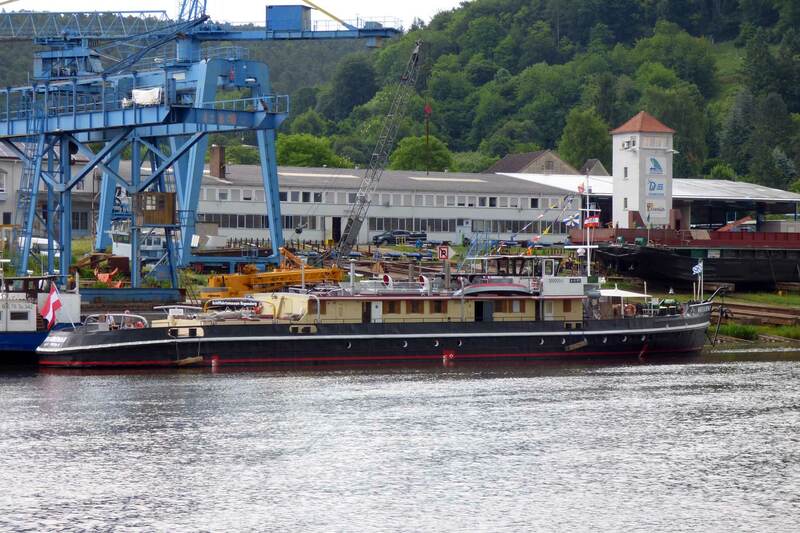 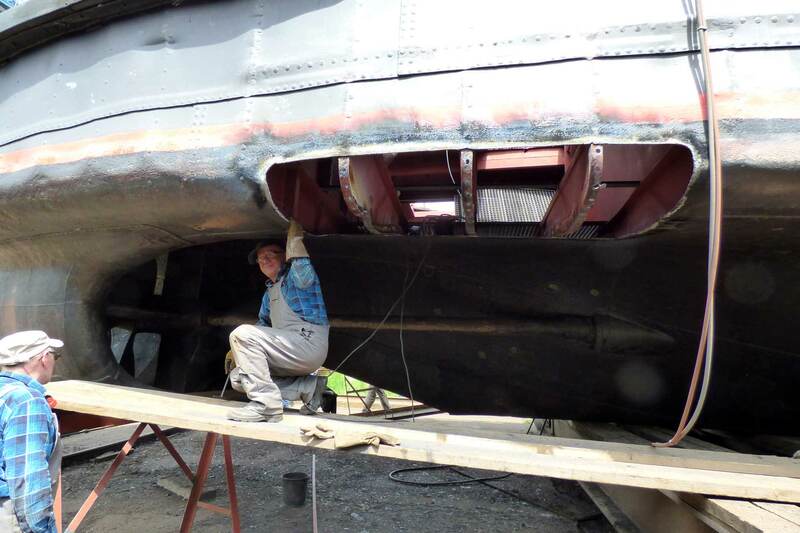 In 1955 Hans Hofmeister ordered at Hitzler shipyard in Regensburg the barge HELGA (shipyard-no. 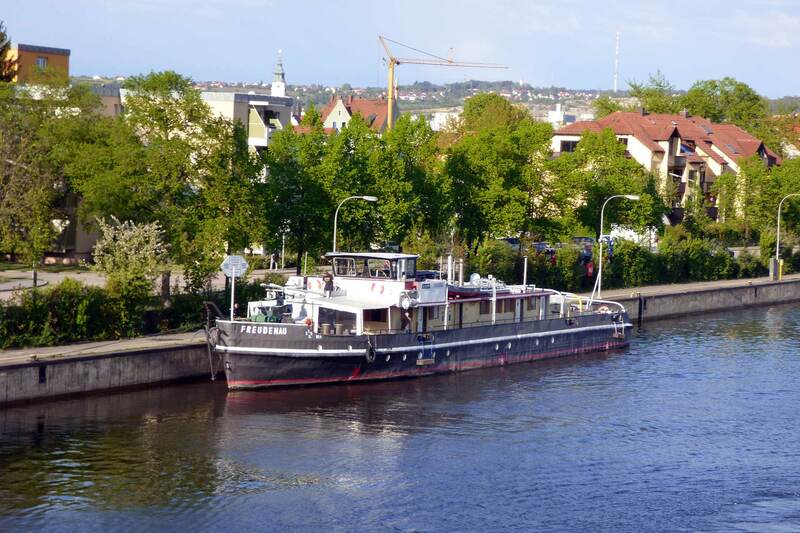 206), which was one of the last not motorized barges of that last traditional boatmen-family of Regensburg. 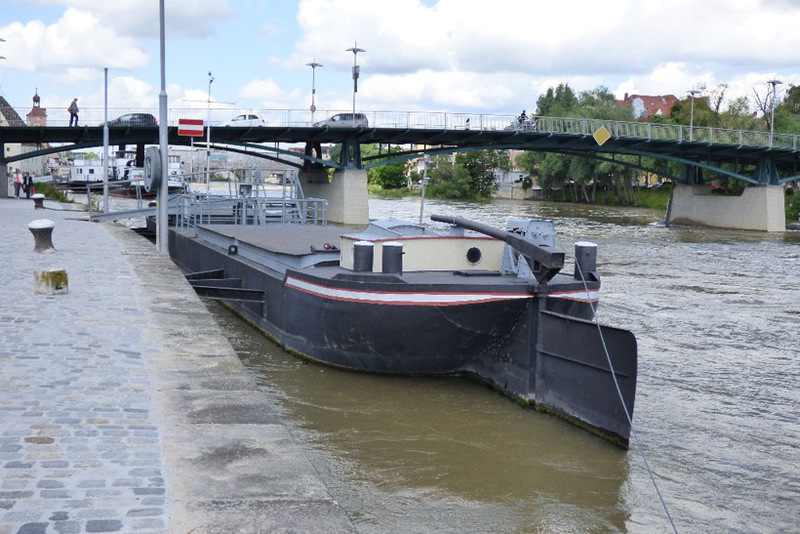 Length 31,90 m, breadth 4,40 m, draught 1,30m, tonnage 121 t. In 2004 the barge was acquired by the Danube Navigation Museum. 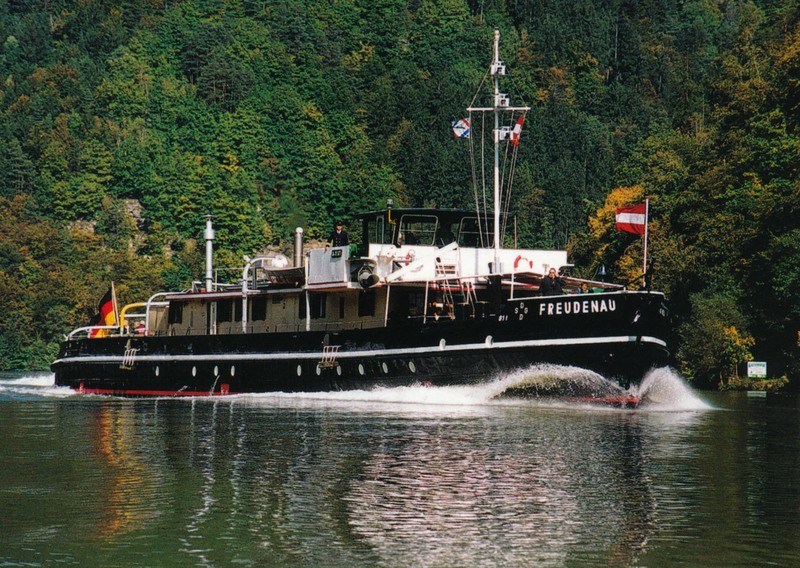 In the middle of the 19th century on Danube in Bavaria and Austria (but not on Main and Rhine) there had been privileged steamship-companies. 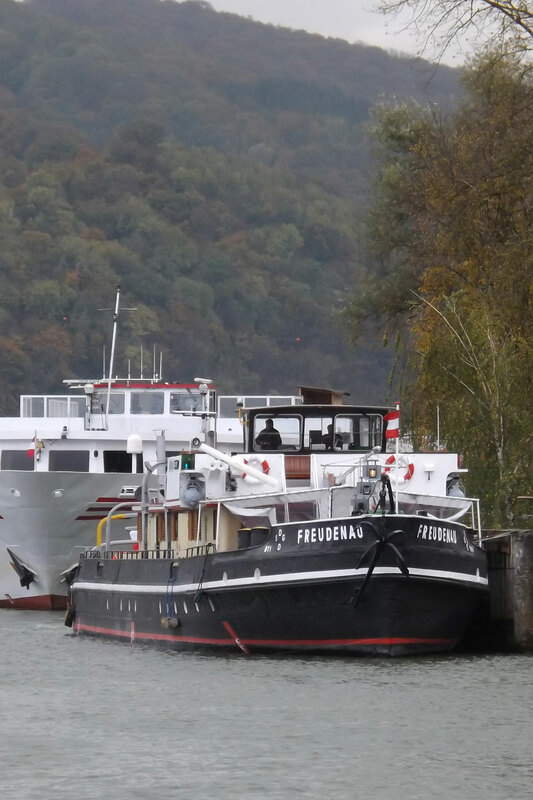 Only these companies had been allowed to own and use steamships, but not the traditional boatmen-families. 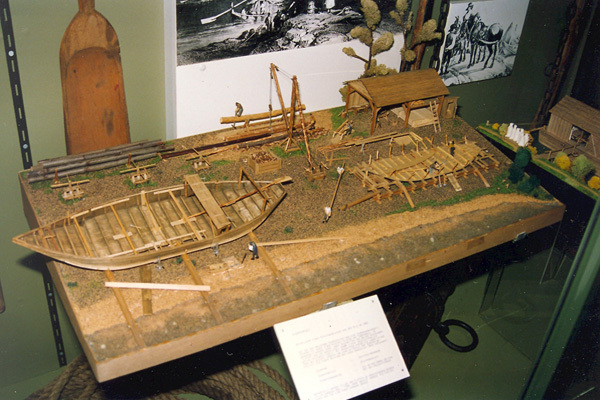 Therefore the traditional handicraft of the boatmen declined. 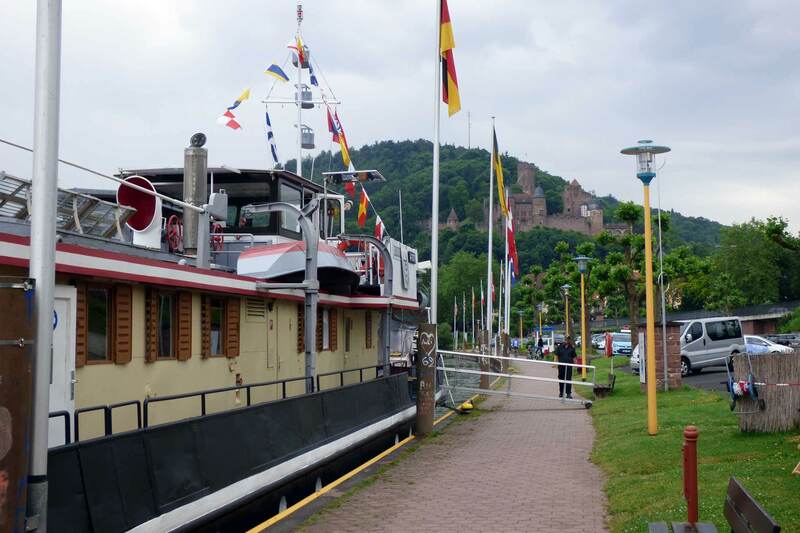 There was also no more chance for the Bavarian boatmen using since the years about 1850 towboats built of iron and no longer built of wood. 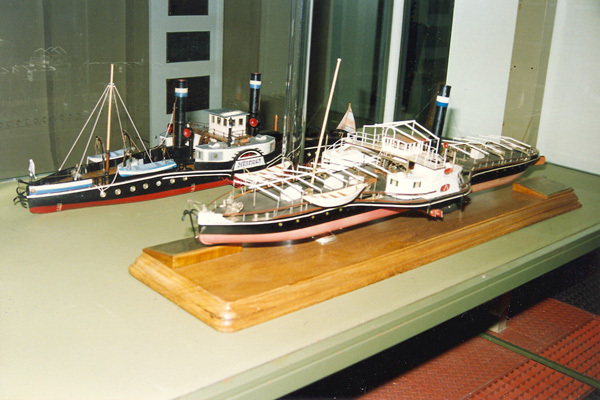 Many former boatmen and their followers became employed steersmen and skippers of the new steamship-companies.